Everything is shrouded in enchantment. The buildings you pass have literal facades; the products you purchase beckon with colors and symbols; even the love you give to another is not exempt. You both wrapped yourselves in the veils of charm and beauty until the other was thoroughly enraptured. But is it then sullied? If you accept this logic are your feelings invalidated? Apple is fraught with allure. Few symbols are more powerful than the once bitten fruit that’s stamped all over this earth. Curiosity beckons. We want to touch one, we want to see what it has in store. Eve crosses Eden and bites the forbidden fruit leaving symbolism and a tide shift in autonomy. If I pick an Apple from the Tree of Knowledge, I’ll be a part of history. A part that greatly reduced ignorance and brought forth a new age of enlightenment in which I’ve only begun to live. Apple did not invent the smartphone, but without the genius of its marketing the smartphone would have arrived later to our collective history. Each successive iPhone generation represents the pinnacle of human technological achievement. Profundity plagued me as I opened the iPhone 7 screen. History flashed before me like my life in a near-fatal wreck. I saw what civilization has become and instantly knew I was looking at the contemporary climax. I held in my hand the whole of human ingenuity over millennia. I don’t own an iPhone. I have a case of technological introspection. Where is your place in history? Where do you fit in? Imagine what you’ll look back on as a turning point not just for you but for your generation. Can you think of something more pivotal than the first iPhone? What do you see within yourself that ties you to human technological history? Apple has mastered the art of enchantment. They’ve done it through clever marketing and PR. But if you can see through the veneer, is the product then tarnished? Is its place in history unsettled by brand saturation or vacuous advertising? Remove the symbolism and you'll have the independence of the fruit. Apple is important because they dumbed things down for the tech illiterate. There's a lot of people who don't want to understand what they're doing, just to do it. I find it has no allure. It's too much of everything works just one way. For a power user or a person who wants to do specific things for specific reasons it's a nightmare. Using a pencil is not swinging a tennis racket is not cooking. There is no one interface to rule them all and power users of any type will be driven to distraction by the lack of control and finesse. I'm a power user on a number of fronts and using Apple products is like computing from inside a straight jacket. Listen to Nancy Reagan. Just say no. "Each successive iPhone generation represents the pinnacle of human technological achievement." Is this meant to be a joke? The iphone 7 reads like a mid-spec Android, for example it has a HD ready screen, something Samsung surpassed almost 4 years ago with the Full HD Galaxy S4. In my mind Apple are a plague, they are the world's most valuable company yet pay barely any tax, stealing hundreds of billions of dollars from schools, hospitals and infrastructure. Apple tends to not shotgun things. They make sure it works perfectly or as close to perfect as they can and then roll it out. out there that do more for half the cost. I remember everyone i knew owned an iPhone 5 and went on about how brilliant they are, but tried my z3 compact at the time and they just couldn't believe how superior it was to the 5 but still said they would stick to apple, think people are now realising they aren't the best? I agree. I own the 6s Plus and I have as many issues with it as I had with any Android phone I ever owned like freezing on opening apps and having to reboot. That's totally unacceptable. Apple has contributed to the smartphone community. There are those that claim that Apple copies everything from the Android community and does no innovation on their own. Ah but then why does Apple have numerous patents on smartphone technology? The Android ecosystem is fraught with devices being abandoned from support while having plenty of life left in the device. Apple to abandons devices but does support them longer. Nothing's perfect in this world but what Apple brought to the smartphone market was healthy competition and a product for the masses who don't care about tweaking their tech. They also brought an ecosystem where a desktop PC, laptop, tablet, TV, and a smartphone can be seamlessly integrated as seeming to be one. And yes that does come at a high cost, but it is achievable if one wants it. Apple also caused a drive of innovation through competition. 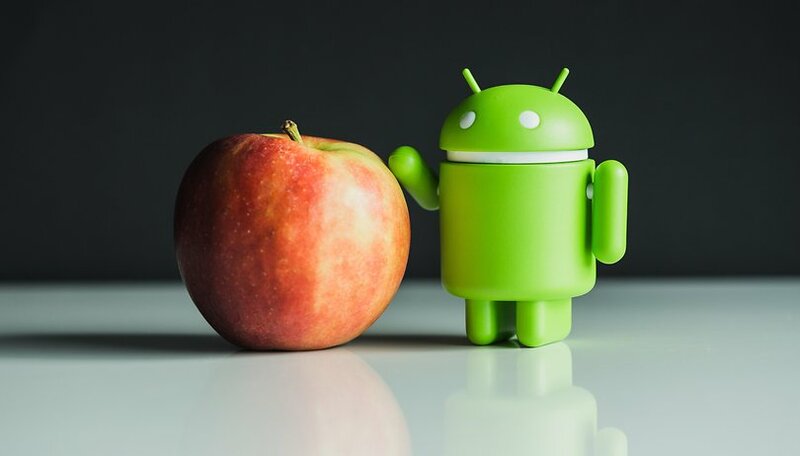 I myself still dabble in Android but use Apple products because so many people I need to communicate with use Apple products and it's important to me to be able to communicate seamlessly. Just saying, so don't shoot the messenger but be open to understanding that ease of use and longer support over a products life is something many want and also helps competition and drives innovation. The market has shown that there's room for both the Android and iOS ecosystems. I agree Dean. And I think that the two systems can live symbiotically. Apple's finest achievement... the ability to own global smartphone profit.. astonishing profit margins and peerless marketing. smiling sophisticated assassin's of truth, all the while providing an impeccable perception of customer service and satisfaction.